Jannick Wrang Wins EPT Campione! Jannick Wrang has become the third consecutive Danish European Poker Tour champion after besting a star-studded final table at the EPT Campione Main Event. 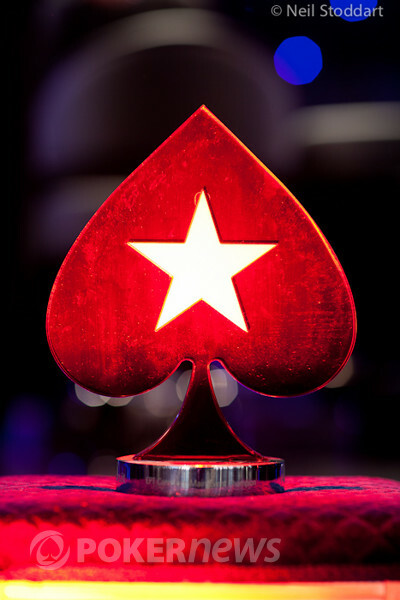 Wrang, who spent just $309 to win his seat to this main event, takes home a massive first place prize of €640,000. His victory was made all the more sweeter by the fact he defeated one of the best, if not the best, heads-up tournament poker player in the world in the shape of Olivier "livb12" Busquet after a 75-minute heads-up battle at the end of a 13 hour final table. The final hand saw Busquet open to 300,000, Wrang three-bet all in covering his opponent by a 3:1 margin and Busquet made the call. The flop came down and it looked like it was going to be a double up for Busquet but the turn and river were the and the respectively to gift Wrang a tournament winning flush and Busquet was resigned to the runner-up prize of €430,000. 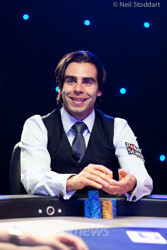 The EPT next stops at Berlin on April 16 and the PokerNews Live Reporting team will be there. We sincerely hope you will be there with us. The very first hand back from the break saw Olivier Busquet raise to 320,000 and called all in for 4,190,000 after Jannick Wrang had pushed. Busquest turned over and Wrang showed a dominated . Both players caught a piece of the flop but when the turn and river were the and Wrang had made a flush and it was all over in Campione! Players are on what could be the last break of the day. Olivier Busquet raised to 250,000 and Jannick Wrang called to see a flop. Wrang check-called another 250,000 on the flop before the turn went check/check. The river was the and Wrang led out for 265,000, Busquet quickly called but mucked when the Dane showed . Jannick Wrang opened to 290,000 from the button and Olivier Busquet decided to just call. The flop came down and Busquet lead into Wrang with a bet of 300,000 and Wrang called. The turn was the and Busquet lead again, making it 600,000 to play and Wrang called. The fifth and final community card was the and now Busquet checked, then folded as Wrang bet 1,100,000 into the 2,400,000 pot. As the commentary team have stated, the chips have swung forward and backwards but the stacks at the same relative level as when they began. 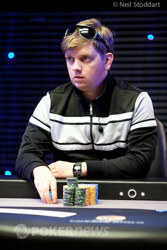 Jannick Wrang has developed a strategy of just limping in preflop and did so again to see a flop. Olivier Busquet led out for 125,000 and Wrang made the call to see a on the turn. Busquet bet 250,000 and again Wrang made the call. The came on the river and Busquet checked, giving up when Wrang bet 200,000.